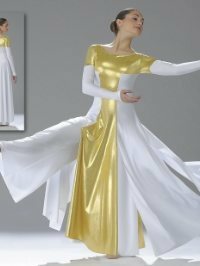 Child Polyester/Metallic Resurrection Dress by Eurotard. 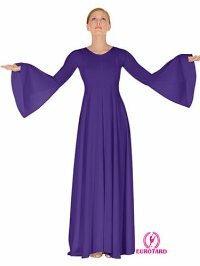 Asymmetrical bell sleeve dress by Body Wrappers. 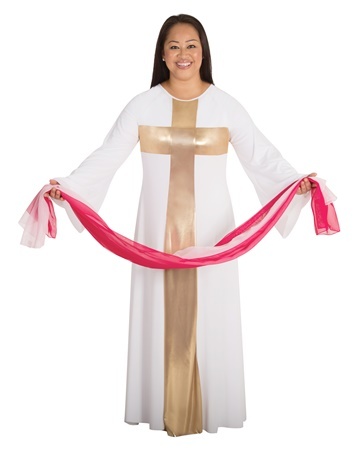 Praise Dress by Body Wrappers. 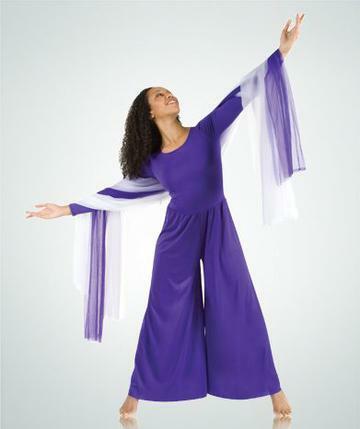 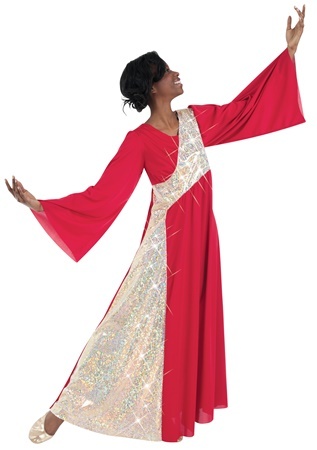 Polyester Dance Dress by Body Wrappers. 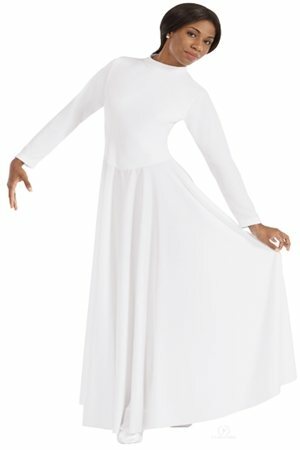 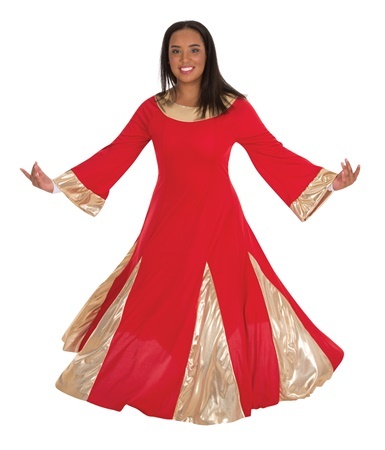 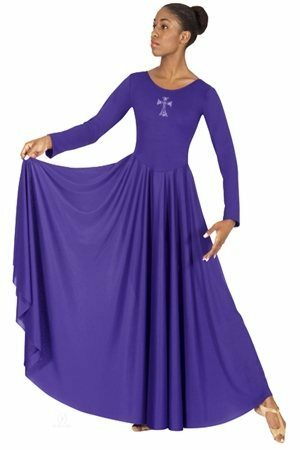 Long Sleeve Dance Dress by Body Wrappers. 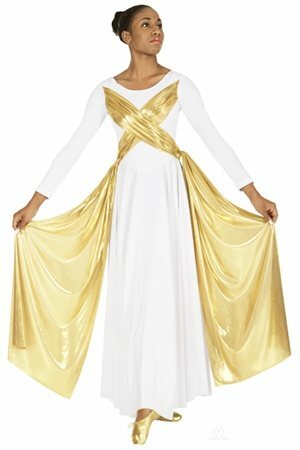 Dance Dress w/attached metallic drape/sash overlay by Eurotard. 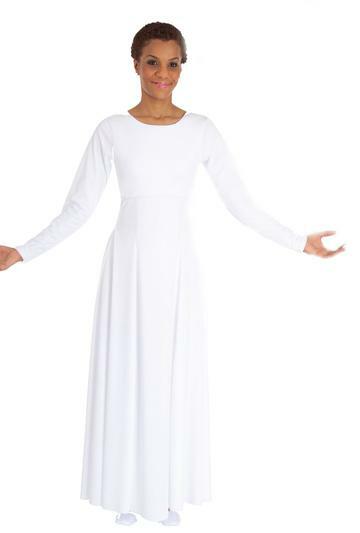 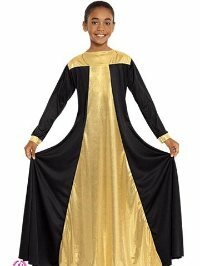 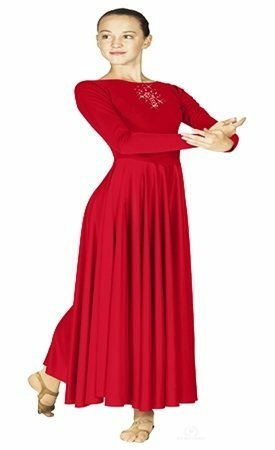 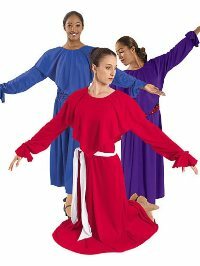 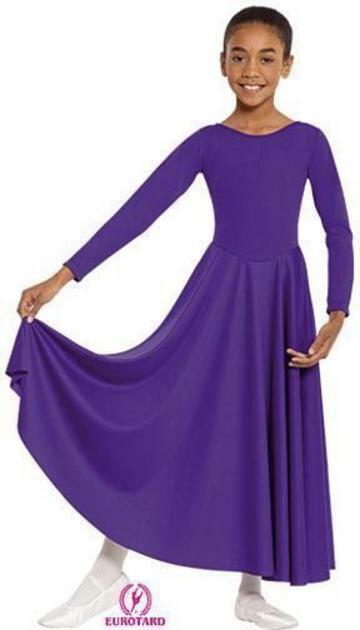 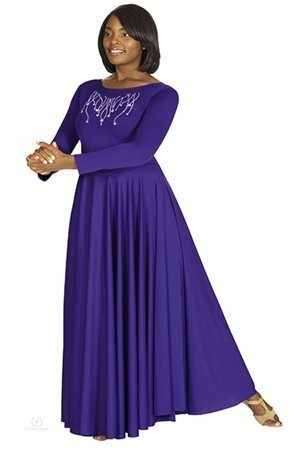 High Neck Liturgical Dress. 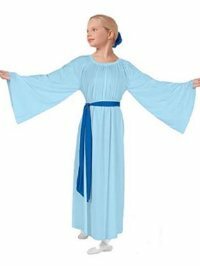 By Eurotard. 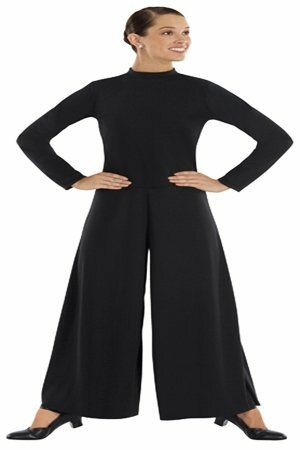 High Neck Jumpsuit w/Zipper Back by Eurotard. 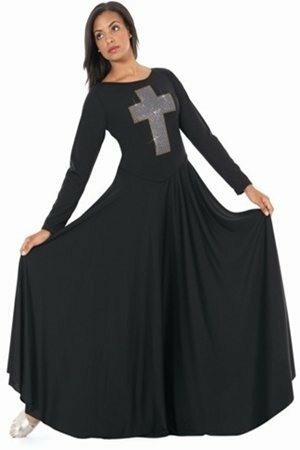 Shawl collared dress. 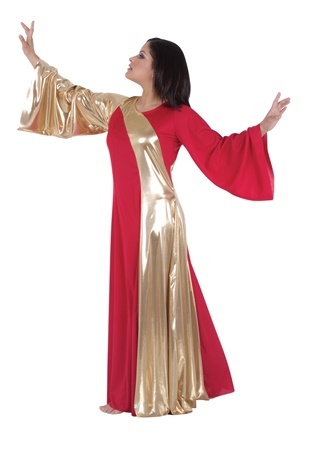 (Sash is not included)By Eurotard.